“Touchstones of Reality”–What are Yours? 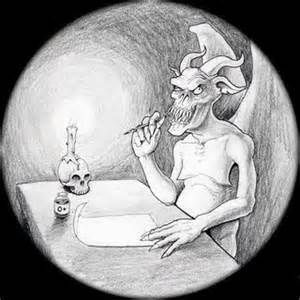 In C. S. Lewis’ deliciously satirical Screwtape Letters, where an older demon mentors a young demon through a series of letters, the mentor (Screwtape) berates the young demon (Wormwood) who has allowed his “patient”–a young man he’s trying to win over for the devil’s side–to experience a “real positive Pleasure.” He explains that “Pains and Pleasures” are both “unmistakably real” and that they “kill by contrast all the trumpery” (“vanity, bustle, irony, and expensive tedium”) he’s been trying to “palm off” as pleasures (p. 64). My husband and I have been reminded of this idea of “touchstones of reality” through an engaging series by Rev. Emeritus Earl Palmer, C. S. Lewis expert, this fall. In other words, a true pleasure like a gorgeous sunset, a chat with a special friend, or a smile from even a stranger can cause a person to send a “thank you” to our Father in heaven. A “toothache” (as Lewis describes in Screwtape), financial troubles, or any kind of real “Pain” that we have to deal with can send us straight to God as we plea for help and relief. Do you ever feel like the realities of life–good or bad–drive you closer to God, too? I went to a writing group meeting last night, and once again was reminded how it is something of a “touchstone of reality” for me–and more like the toothache kind. In this international children’s writing organization, members regularly share the good news that their books are up for the most prestigious awards, or how they got signed with a New York agent or “Big 5” publishing company. Over and over again, agents and editors who are invited in to speak to the group tell us how they want “dark and edgy,” “creepy and funny,” or “dark and edgy and creepy and funny” stories for kids. It was true again last night. Time after time, I’ve sat there feeling like my writing will never be good enough for those big awards or fancy agents and publishing houses, or even if it is, it will never be the kind of story that they even want to take on. While there is a lot of humor in the stories, they will never be creepy or dark. I am also at these meetings often reminded what a “good ol’ boy” network publishing is. Even though I raised my hand last night to share my own “good news” about the MeeGenius contest and Luna Crane, Papa Plane getting published as an e-book in November, the president called on nearly every person in the room (whom he knew from all those prestigious awards and Big 5 publishing contracts announced in previous years) before he called on me, and my hand was up first and I was in the second row! How glad I am that my real audience–the One in heaven I wrote for–is the only one I need to please or impress! May I be faithful to what He has called me to, and keep me from getting sidetracked with all this “trumpery” that doesn’t matter in the least. What are your “touchstones of reality” that bring you back to God? Share them in the comments! Sing to the LORD with thanks; sing praises to our God with a lyre! God covers the skies with clouds; God makes rain for the earth; God makes the mountains sprout green grass. God gives food to the animals–even to the baby ravens when they cry out. God doesn’t prize the strength of a horse; God doesn’t treasure the legs of a runner. This entry was posted in Faith, Luna Crane, Writing and tagged C.S. Lewis, Earl Palmer, touchstones of reality. Bookmark the permalink. 1 Response to “Touchstones of Reality”–What are Yours? Thank you for putting this all in perspective, Sonja As a witness to that hand-raising incident, you were very gracious. It is a tough crowd in there. We really only need to worry about our audience of One. Thank you, Sonja, for another thoughtful and thought-provoking blog post.